Was it Pac-Man at the corner convenience store? Street Fighter at the arcade in the mall? Recapture the fun, if not the quarters, by playing your very own arcade machine! The ultimate arcade machine, our top-of-the-range console. 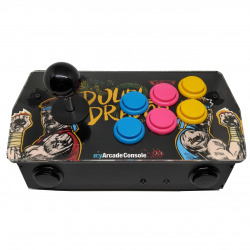 Analog microswitch controls for two players, 19-inch LCD screen and custom graphics. 960 pre-loaded original games. The portable console to connect to your TV. Our best-seller is ideal for playing at a friend's house or on vacation. Analog controls for a player, you can connect additional gamepad up to 4 players. Customize your console by adding your favourites games inside emulators already installed. 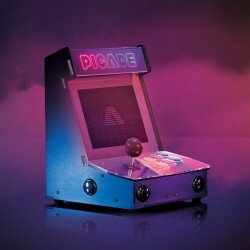 The Transportable Edition is a Pimoroni's Picade Console fully assembled by myArcadeConsole. The mini-cabinet with 8-inch screen and analog microswitch controls for one player, with the possibility of connecting up to 4 additional gamepads. 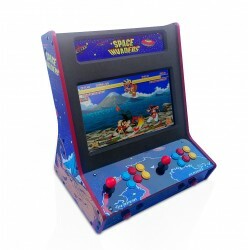 The ideal arcade machine for your desk! Add all the games you want to emulators already installed. 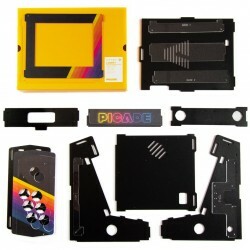 The Cabinet Edition is a Pimoroni's Picade fully assembled by myArcadeConsole. myArcadeConsole allows you to play without having to buy any other games. The Cabinet and Transportable Editions are based on emulators and so you can simply install your favourites games downloaded from the network, while the Deluxe Edition is already pre-loaded with 960 original games. ready to be used. 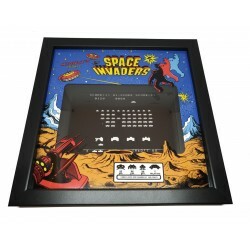 The Deluxe Edition is built with the components of ArcadeWorldUK and with a heart Pandora's Box containing 960 original games already installed. 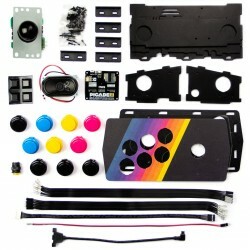 myArcadeConsole revives your old gamepad! 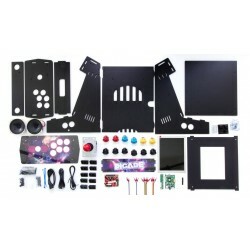 Transportable Cabinet Edition and are compatible with a long list of USB gamepad or Bluetooth, such as the Playstation 3, Xbox One and 360, Logitech and others.